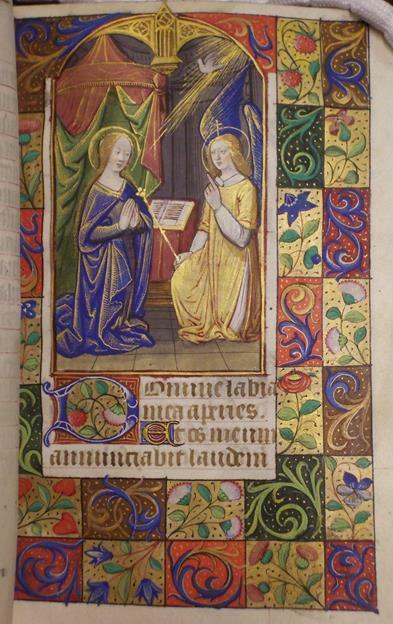 The Book of Hours was a devotional book that began to appear in the 13th-century. It became extremely popular with the wealthy classes as a way of continuing their devotions whilst in their own home. It contained prayers that were to be said at the canonical hours in honour of the Virgin Mary. 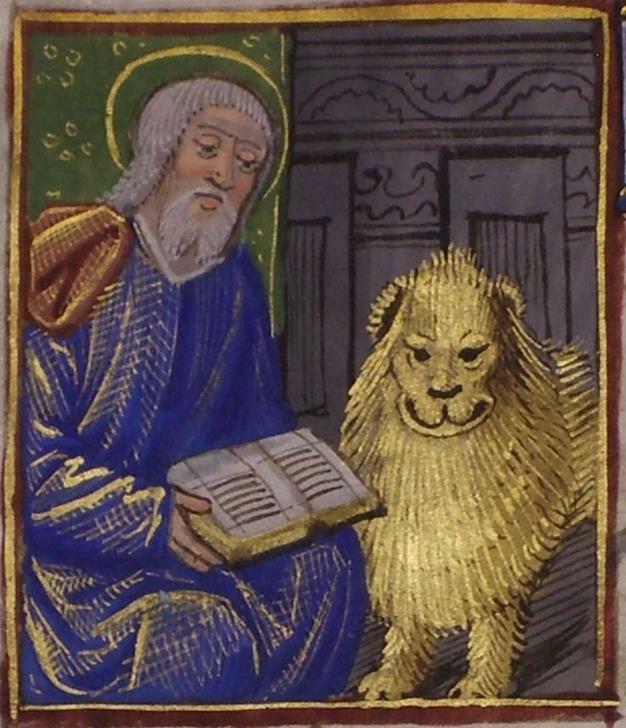 This particular illuminated manuscript was probably produced in Paris c. 1480 and was no doubt for general sale rather than being specifically created for any one person or family in particular. It would still have been very expensive to buy and would have been beyond the reach of the majority of people. Books such as this would often have been produced in family run businesses. One member would mark out the lines, another would write the text whilst someone else would do the miniatures and yet another would apply the gold leaf and so on. At some point towards the end of the eighteenth century, before being acquired by the Gott family, it must have belonged to Mr Joseph Cator of Beckenham in Essex, as his armorial bookplate is on the inside front cover. 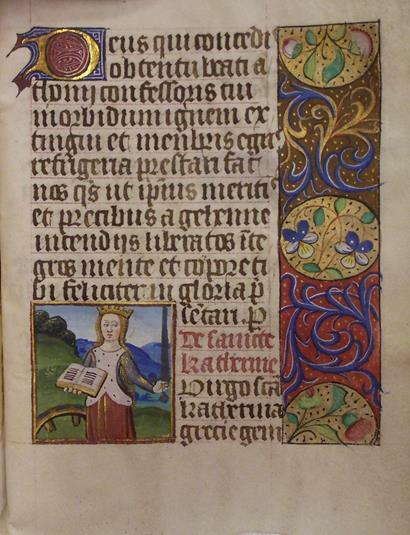 To view the Book of Hours please visit the Information and Research department on the 2nd Floor of the Central Library. Two forms of ID (one with your name and another with your address) and at least 24-hourswill be required to view items from the Treasures or Collections. Please call 0113 378 5005 for further details and to book an appointment.